Can chickens swim or fly or lay golden eggs? 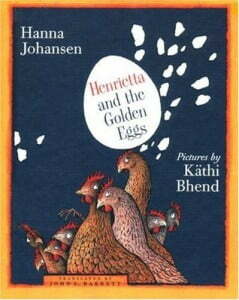 Henrietta is tired of life in the cramped chicken coop and is ready for something more. Even though the older chickens laugh at her, she soon inspires them to reach a little bit higher themselves.